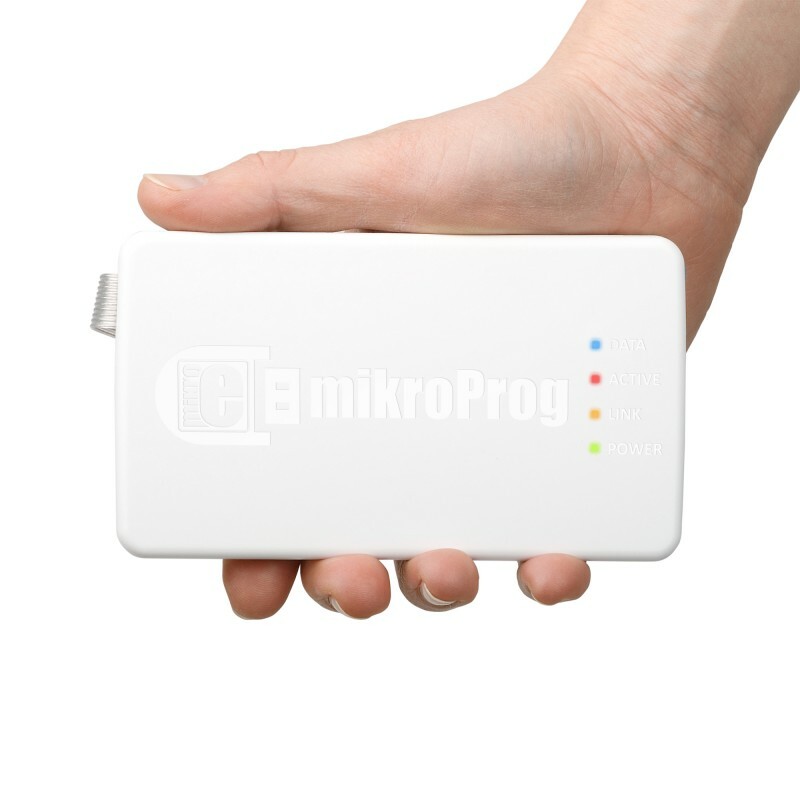 mikroProg for 8051 is a standalone USB programmer for 8-bit Atmel AT89 (8051) microcontrollers. 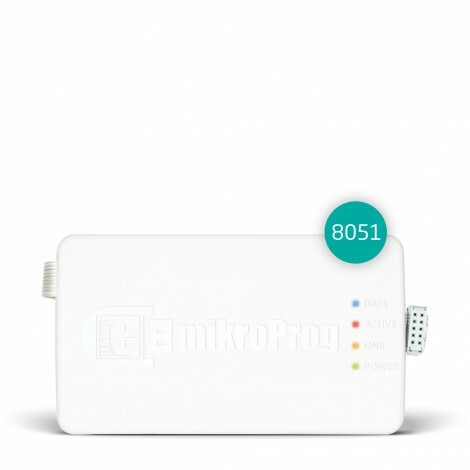 It is supported with mikroC, mikroBasic and mikroPascal compilers for 8051.
mikroProg for 8051 is a fast USB programmer. Smart engineering allows mikroProg to support Atmel AT89 devices in a single programmer! Outstanding performance, easy operation, elegant design and low price are it’s top features. It is supported in MikroElektronika 8051 compilers. Compiler Compatibility mikroProg™ for 8051 is supported with mikroC™, mikroBasic™ and mikroPascal™ compilers for 8051. You may also use mikroProg™ for 8051 as a standalone programming tool. 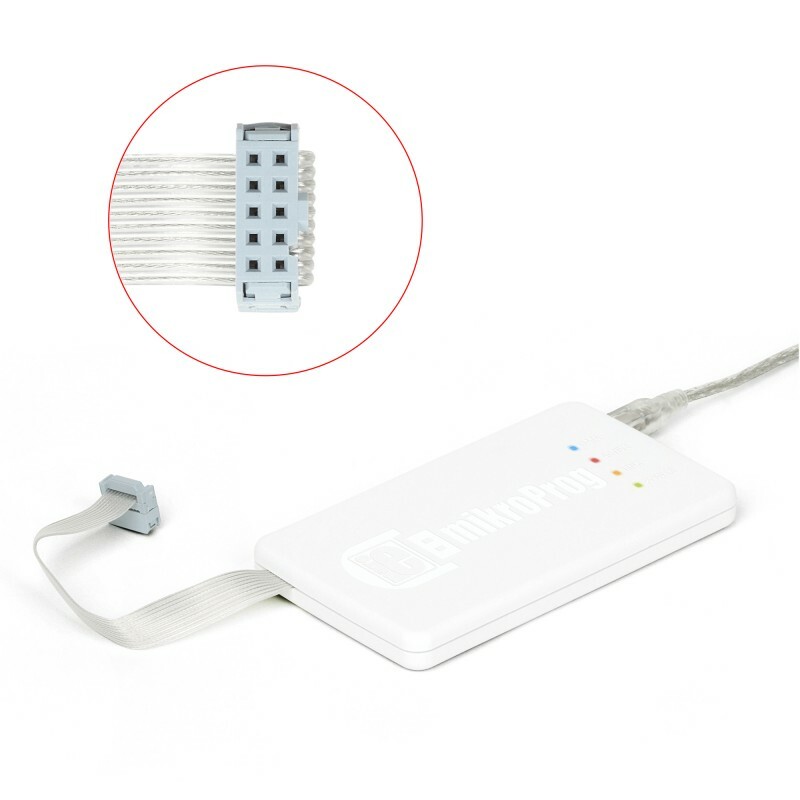 We made sure to retain backward compatibility with our popular 8051Prog2 programmer. This means that you can use mikroProg™ with your existing designs or mikroElektronika development boards for 8051 where IDC10 programming headers are already integrated. 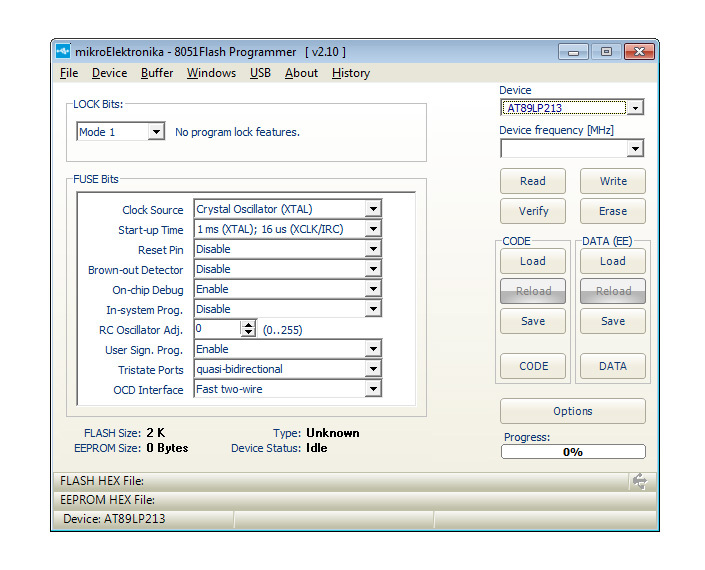 On board mikroProg™ programmer requires special programming software called 8051Flash. It is used for programming ALL of Atmel® AT89 microcontrollers. Software has intuitive interface and SingleClick™ programming technology.